Vbulletin gives your online forums a whole new dimension in terms of interactivity and showcasing information about your business- Choose the conversion services of XHTMLchamps and watch your website perform in all its excellence! V Bulletin, the internet forum software used for publishing content has grown with a variety of features such as photo albums, calendar, polls, unified permission system etc. There is a demand for web portals that facilitate interactive discussions and user friendly browsing experience. Internet forum based web applications were considered tedious till the arrival of V Bulletin and it brought out such favorable changes which actively contributed to the wide popularity gained by V Bulletin. There is a lot of scope for PSD to V Bulletin conversion and it demands a lot experience as well as expertise to handle it as well. When the portal is actively used to propagate business with emphasis on communication, the portal will need to be attractive as well as interactive. We at XHTMLchamps help you with just that! World class websites on V Bulletin within no time and at a reasonable cost. We take up Module installation, modifications, and forum maintenance, set up, hosting, CMS Implementation and customization. We are quite familiar with V Bulletin 1, V Bulletin - Lite, V Bulletin 2, V Bulletin 3 and V Bulletin 4 and implement strict quality parameters to be followed so as to ensure a high quality product at the end. Read on the following lines. Search engine friendly web pages with high ranking. For more clarity on our services, proceed to the next window. For the best quality service available in the world with the best of technology you should opt for our services at XHTMLchamps. Our qualified designers are available for any alteration in the original designs required as well. State-of the-art designs created by us will be sliced with great care and converted into Vbulletin without losing any of the original features and quality. 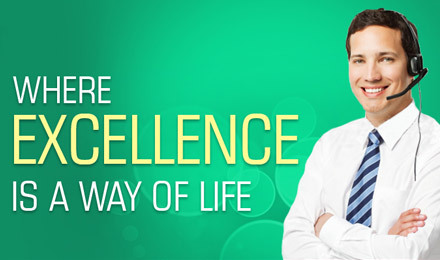 Our quality control department keeps checks on all stages of work in progress thus minimizing the instance of errors. And thus we are able to ensure high quality of deliverables to all our clients. Still in doubt? Entrust us a project and get back the entire money if you are not satisfied. HostingXHTML Champs provides a perfect hosting for V-Bulletin forum. Design and ThemeThe team of XHTML Champs is experts in creating attractive web design with unique theme and mobile compatibility. Customization and IntegrationWe do customization and integration with care and use all our talent to suit your needs. Module DevelopmentModule development for creating different programs to suit your needs will be done effectively. Up-gradation ServicesTime to time up-gradation is needed to make forums attractive and user-friendly. We offer expert service. Maintenance and Support XHTML Champs maintain your forums and websites effectively and provides you timely technical support. 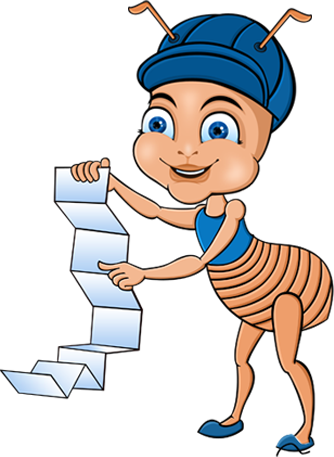 Bug Fixing Bug fixing will be done with extra care as we at XHTML Champs know how important your data and time are. Search Engine OptimizationThere are many ways to make your website SEO friendly. Mobile CompatibilityBy creating mobile compatible websites and forums, you can increase the reach of the same to more people. How can I order V Bulletin? Currently V Bulletin is accepting order and payment via PayPal, Credit Card or Wire Transfer. Order forms are available online. How much it will take to get the information about my license information? It depends on the payment method you used. Being a visible source, it is not practical to offer the full version of the software for evaluation. You can open a sand boxed demo for evaluation using this system. What are the systems required for V bulletin? The software has been successfully installed in various versions of UNIX, WINDOWS and MAC. XHTML Champs provides a perfect hosting for V-Bulletin forum. The team of XHTML Champs is experts in creating attractive web design with unique theme and mobile compatibility. We do customization and integration with care and use all our talent to suit your needs. Module development for creating different programs to suit your needs will be done effectively. Time to time up-gradation is needed to make your site attractive and more user-friendly. We offer the best service in this area. Time to time up-gradation is needed to make your site attractive and provide enhanced user experience. Expectations in terms of performance and features available in the website is on the rise and an outdated website begins sliding down in terms of popularity. Upgrades on the CMS used, features available in the website and overall experience provides will constantly need to be worked upon. We at XHTML Champs provide all forms of support in up-gradation of sites from a lower version to a higher version or anything else that may be required. At the same time we also extend conversion services from other CMS to vBulletin. XHTML Champs maintain your forums and websites effectively and provides you timely technical support. E-commerce websites and forums demand regular maintenance primarily because these are interactive in nature and we at XTHMLChamps provide you just that; Information needs to be updated from time to time and features need to be added from time to time and effective optimization. At XHTMLchamps you will be provided with an array of such services in web development, hosting and maintenance all for a reasonable cost! Bug fixing will be done with extra care as we at XHTML Champs know how important your data and time are. For interrupted functioning of your website, these bugs have to be tracked and fixed from time to time without delay. It is here that our services at XHTML Champs would come to your rescue! We are experts in all areas of CMS and CSS and hence are adept at fixing these kind of mishaps with ease. We offer technical support and troubleshooting services in V bulletin forums along with bug fixes as well. Right from the development to maintenance, if all the services are available under one roof, why at all look elsewhere? Search engine optimization revolves around two concepts- On page and off page optimization techniques. On page optimization includes everything that can be possible on web pages to make it more SEO friendly. This includes, posting SEO friendly contents, image optimization URL optimization, Audio-Video Optimization, Tags Optimization etc. More over W3C compliance will help for search engine optimization. Off page optimization refers to those factors that have an effect on the listing of your web site or Web page in natural search results. By creating mobile compatible websites and forums, you can increase the reach of the same to more people. With the developments in technology, a number of smaller and portable devices have come up for making internet browsing more easy and interesting. Use of devices such as mobile phones, I phones, I pads, Tablets etc are on the rise and access of ecommerce sites via these devices have also increased in proportion. There is now a demand for websites to be mobile compatible; display in such a manner that it is uniform across desktops/laptops as well as on mobile devices. The most important step in this direction is to develop mobile compatible theme. We at XHTML Champs are experts in developing such themes; theme compatibility is the first step among various processes to develop a compatible website.